You see, I’ve been secretly crushing it with sneaky $5 Facebook ads to the tune of over 500 leads per day! Because I’ve already shared my secret techniques with a small batch of coaching students who are now getting incredible results with their Facebook Ads. And so can you. These are not numbers to sneeze at. They are as REAL as the screen you’re reading right now. You can take that screen shot to the forensic lab to make sure it is not ‘photoshopped’ in any way… Oh yeah, I know the internet marketing world! What Qualifies Me To Talk Like This? Hi, my name is Ron Douglas. 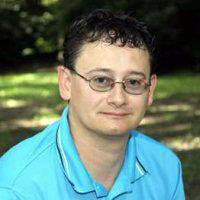 Perhaps I’m best known in the online marketing world as the guy who sold more books and made more mainstream media appearances than any other self-start marketer. And for sure, I’ve appeared on Good Morning America, Home Shopping Network, Fox News, ABC News, Good Day NY, Fox & Friends, the Wendy Williams Show, the Today Show Australia, the Today Show on MSN, and in People Magazine. What’s more I’ve sold over 1.4 million books through a major publisher, Simon & Schuster, and I’m a New York Times Bestselling author. Even before I was picked up by this major publisher, I was able to build a huge subscriber list of over 200,000 between the years 2003 and 2008. Those were the days when you could get 10-cent clicks from Adwords and a hoard of affiliates would rush to promote your products on ClickBank. If you’ve been in this business long enough, you know that the cheap and easy Adwords traffic soon came to a screeching halt. Many online marketers were slammed up against the windscreen without an airbag in between. I had to adapt quickly or lose my main source of income. You see, from the outside, everything was looking rosy and peachy but my business was dying a slow, sure death. Google had changed their Adwords policy so you couldn’t send traffic directly to landing pages anymore or to an affiliate sales letter. What’s more, the costs per click rose dramatically as competition from other advertisers increased and soon the gravy train had derailed. Many marketers lost their Adwords account in the process, and some, their entire businesses which was built wholly on Adwords PPC advertising. My list was dwindling fast. In just a couple of years, I went from sending over 16k clicks per email down to 4k. While I was still able to generate a good amount of traffic from my email list, this dramatic decline in new leads, combined with the increase in advertising costs, caused a big drop in my revenue while my expenses remained nearly the same. Believe me, that's NOT a recipe for business success. I was forced to find a better way. While Google Adwords was tightening up the screws, another advertising giant was just warming up… a marketer’s dream come true…? So I decided to focus all of my attention on Facebook advertising. Out of desperation, I went out and bought all the courses from the Facebook experts I could find. But much to my dismay I soon came to realize there was a huge gap in all these courses. Because even though they taught how to sell physical products such a T-shirts, when I applied these strategies to list building I lost my shirt! I ended up losing a lot of money with little results to show for it. I was frustrated, to say the least, but I wasn’t about to give up. Starting from scratch I decided to develop my own lead-generating system through testing and tweaking. After a lot of testing, patience and even losing one of my Facebook accounts, I eventually had my “aha moment”. We’re talking here about over a billion active users, super targeted traffic and cheap clicks. This is like Google Adwords in the early days, but on steroids. Of course no advertising platform is static. For example, not too long ago you could get decent free traffic to your Facebook page from the natural organic reach of your page. So you publish some content on your page and you’d expect that a good segment of your fans will see your post. 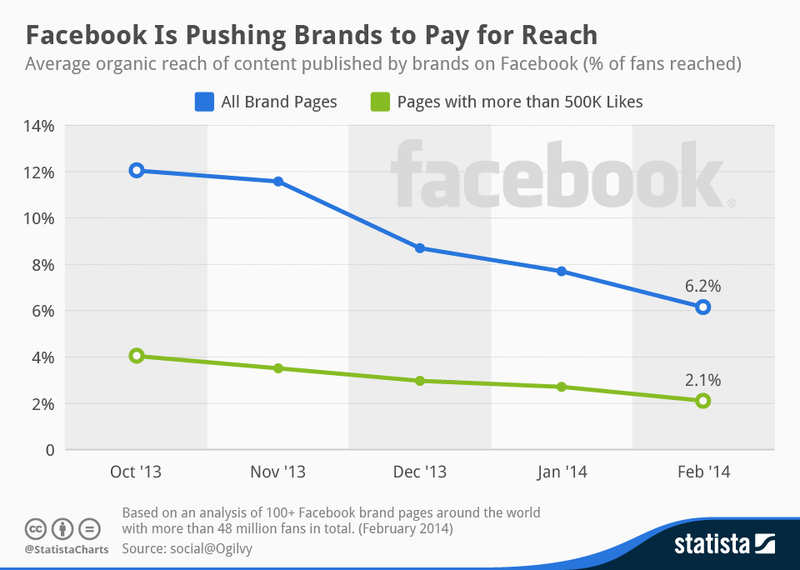 But this ‘natural’ reach is now on the decline. Well, if you asked Facebook they’d tell you that they are not up to any tricks as some marketers suspect. According to them, it’s the natural results of more content being published by your friends who are not only using desktop computers to post content but tablets and smartphones. So there’s a ton of competition in News Feed and it’s becoming harder for any story to gain exposure. People are also liking more Pages. In addition to this new competition, Facebook’s algorithm is designed to show users the content that is most relevant to them. So a person might only see 20% of the newsfeed stories at any time. Banned From Facebook Without Warning! Some have been able to get their accounts reinstated while others were not as lucky. The good news is that you can still drive traffic to the type of landing pages that Adwords presently frowns on if you know what you're doing. Traffic you could never dream about getting from Google Adwords is now flowing your way from Facebook. But for how long is anyone’s guess. 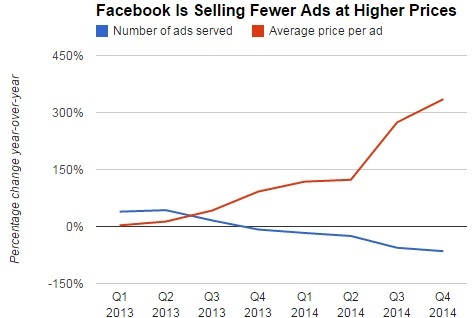 Because the current trend is that Facebook is selling fewer ads at higher prices. So if you're not extracting as many leads as you can from Facebook while the opportunities are still here, you’ll be missing out big time. Facebook to Build Your List? Well, first you have to focus on giving Facebook what it wants which is a positive user experience. That includes targeting ads only to people who are most likely to want what you're offering and ensuring they have a positive experience once they get to your landing page. Hint: if they're following more than one interest related to your offer, you can be sure they're into it. Then you want to create posts that Facebook users will happily share. Use engaging content or give away something of value for free and don't come across as just another annoying ad. When you set up your campaigns like that, Facebook's unique viral traffic effect will kick in and bring you tons of warm, friend-referred traffic like magic. I've done it time and time again and once I show you how to do it too, you'll be able to consistently generate clicks for under 10 cents just like my students are. As I mentioned before, I’ve been marketing online for 14 years now and counting and I’ve built huge lists. You may not be in the business of selling cookbooks, but what counts is the marketing principles and not what you’re selling. Now over those 14 years I had to continually adapt and change strategies but the PRINCPLES have remained the same. For example, I had to shift from Google Adwords to Facebook and other sources for traffic, but how I treat that traffic has remained the same. Now if you stop reading right now and just apply those same three steps I can virtually guarantee you’ll be successful. But you know they always say that the devil is in the details. “Details” not in the sense that it’s hard to do, but you must know some tips and tricks and common mistakes to avoid if you’ll be super successful. You can hammer a stone 99 times without even a crack showing in the stone. And then the 100th blow shatters the stone into pieces. You and I know it wasn’t just the last blow that broke up the stone, but without it the stone will seem untouched. That last blow made all the difference, and it’s the essence of what I want to share with you. Now I don’t believe in wasting my time or other people’s time. So I want to reward the few minutes you’re taking to read this letter by sharing with you a proven Facebook Leads Generation plan. So even if you choose not to invest in my product, you’ll still leave with some incredible marketing value. 1. 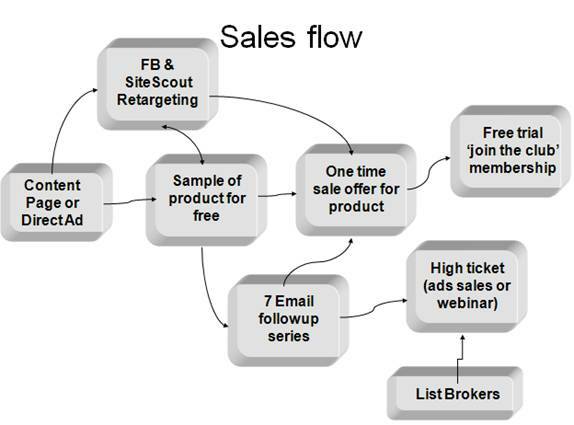 Sales Flow – based on the evergreen 3-step strategy. First, traffic is generated from content pages or direct ads such as on Facebook. These visitors are offered a sample of my product and placed in my 7-email follow-up autoresponder system. They are also made a one-time offer for a product and given an invitation to join a continuity program. For those visitors who do not take the free sample product offer they are “retargeted” using Facebook and SiteScout tracking systems. The most money generated from my list comes from the recurring income (‘join the club’ membership) and high ticket sales. This is an important marketing lesson I had to learn along the way. Real profit in your online business comes from recurring and high-ticket backend products not from the cheaper front-end products. The third component is Ad Targeting and Structure. The more you know about the people you are trying to sell to (often called your customer avatar), the more laser targeted your ads can be. Here is where no other marketing platform can rival Facebook, because they know so many things about their members. Facebook collects data on gender, age, place of birth, interests, favorite movies, books, hobbies, friends, internet access devices... and the list goes on. What’s more, if you upload your subscriber list to Facebook, then you can learn a ton more about your subscribers and also get a matching “look alike” audience—which translates into potentially more cost effective leads for your subscriber base. Now you can target your ad to this audience and test different combination of ad copy and images to find out exactly what works. HINT: Facebook charges a lot less to run ads to your list, ‘look-alike’ audience and for retargeted ads. Here is the point at which you can run $5 CPC test ads using Facebook’s bidding system for about 5 days duration and just keep the meaty ads that convert and trim the fat. Now you have a “control” set of ads to use as a benchmark as you invest more ad dollars by increasing your budget for your winning ads. The “Tab Page” – This gets its name from the fact that it is a ‘tab’ added to your Like Page where visitors are directed after clicking on your “like” ad campaigns to download your free product. Facebook wants to keep visitors on its site and so rewards advertisers with lower ad cost when your ad target page is on Facebook. It is also cheaper to reach fans of your page and their friends. 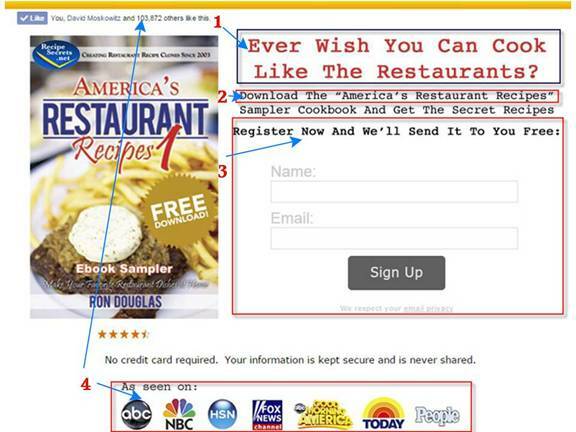 The “Tease Page” – This is a softer version of a squeeze page which includes the opt-in form above the fold and enough content to add value for the visitor. The information provided is partial so they have to opt-in to get the full content, hence the “tease” element. The “Content Sandwich” Page – The goal here is to provide “share-worthy” content as the middle of the ‘sandwich’ and padded by offers at the top and bottom. There is no teasing on this page as they get the FULL content which encourages them to share and they are tagged at the same time for retargeting ads. The “Curated Multiplier Page” – I refer to these as “curated” because you are using other people’s content, in this case trending videos, to attract viral traffic. At the end of the video a proprietary script triggers an optin form or a light box form on exit. 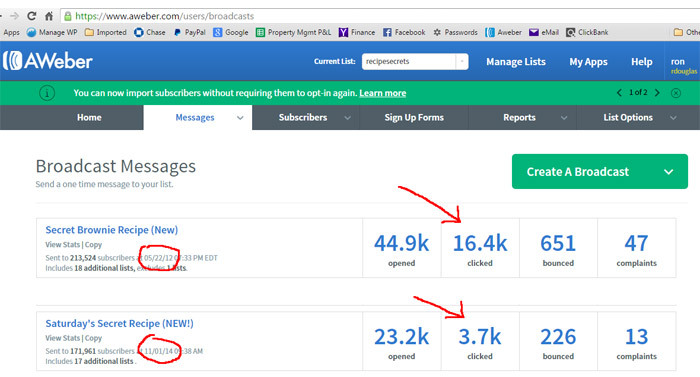 You are basically building leads from the traffic generated by this viral video. The “multiplier” effect comes in because of the additional leads coming in from shares on Facebook. Why Am I Giving Away So Much? You may be wondering why I’m giving away so much of my plan upfront like this. The reason is simple. I realize that even though I’ve been marketing online for so long, I don’t sell my stuff in the internet marketing world. I just use my marketing skills in other niches than “making money online”. And I have the results to show that I know what I’m doing. But in case you still need more proof I want to give you value before you invest in this program. I call it "The Five Dollar Posts Easy 4-Step Copy Formula"
1. Ask a "Yes-answer" question to grab attention of your target audience. 2. State what they get for free and why it solves the question/problem. 3. Tell them what to do next and why it's easy or beneficial for them to do it. 4. Add some credibility and proof. In the sample ad above you can see how I used this formula and how all four elements come together to make a highly responsive Facebook ad. As soon as I realized the results I was getting from my Facebook Advertising were not your average results, I decided I had to share my secret methods with a small group of students. 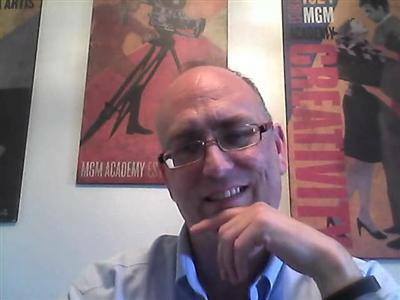 So I sold the program to my personal email list and from the stage during the Marketing Mayhem event in San Diego as a 6-week live coaching offer for $997 per student. Now since this was going to be the first time I was teaching this course, I knew I had to over-deliver because they were paying good money for this 6-week coaching program. The good news for you is, all of my detailed lessons during those 6-weeks were recorded so the students could review each lesson at their convenience. And to save you time, I've condensed this 6-week progam down into just the main components you really need to know to get fantastic results. These recordings and notes are now available to you as part of the Five Dollar Posts Quick Start Training Program. The 3 simple steps to successful implementation of any online marketing program. Get these right and you’re off to the right start. How to legally “steal” the advertising secrets from some of the most effective Facebook advertisers. Why waste money in guessing your way to success when others have done the heavy lifting for you? The two most important factors (these are the only two that really matters) to getting the most bang for your bucks out of your Facebook marketing strategy. A sneaky way to monetize your list without killing your open rates and response level. Hardly anybody is doing this. Case Study: How I made $2,813 by sending out one little email. Why there is no such thing as a “traffic problem” online and how to quickly get out of that mindset. You’ll be surprised what this mind shift do for your business. The best online technologies for easy marketing funnel setup and lead follow-up. How to choose these tools depending on your product niche. Where to find the best resources for great sales copy. Great copy couple with great products is where the money is at. 7 Ways to overcome your subscribers buying resistance so they buy more every time. These simple tricks will boost your conversion with little extra effort. Little Facebook Ads quirks you should know about but you’ll never see in their instructions or discussed publicly. These little hiccups can cost you dearly if you don’t know about them and the only way to learn them is from running ads. It’s like you need experience to get the job and the job to get experience. Sneaky little tricks to get traffic to your Facebook ads as soon as possible. I’ve seen many Facebook advertisers complain about setting up ads that are approved but are not displayed. You won’t have to worry about this problem. How to avoid “Uneven Delivery Pacing” for your Facebook ads and scale up your successful ads at the same time. How to get high “relevance scores” for your ads and so reduce your ad costs. This can cut your budget in half and boost your profits like nothing else. Why deleting negative posts in response to your ads can raise a red flag for Facebook and what to do instead. Recommended steps to take if your Facebook ads account is banned and how to improve your chances of getting reinstated. How to peep behind the curtains of one of the most successful online marketing companies and see how they set up their campaigns. Why guess at what really works when the answer is in plain sight? The “sandwich testimonial” call-to-action landing page layout that can boost response by as much as 64%! This one will really surprise you but the numbers don’t lie. One simple free test you can use to make sure your landing pages are mobile friendly. With the increasing popularity of mobile devices, and Google frowning on pages that are not mobile friendly, this is not something you want to overlook. 4 Surefire ways to scale up your winning Facebook ads to maximize lead generation and ultimate profit. How to ensure you’ll always have access to your page even if your Facebook account is banned. Don’t worry, this is perfectly legal. The best method for targeting Facebook ads, whether using Custom Audiences, Interests or Behaviors & Advanced Demographics. 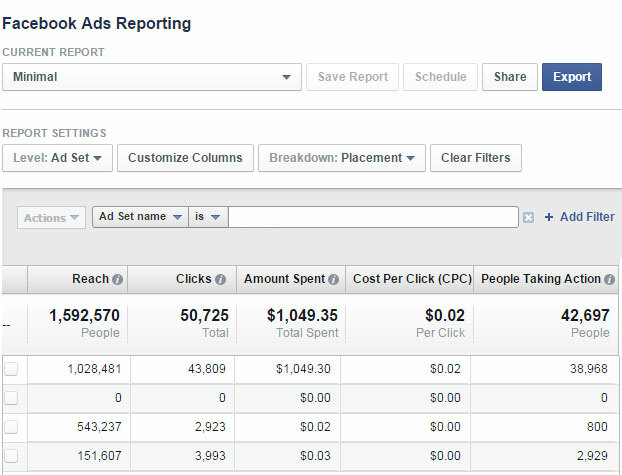 4 Bidding guidelines you don’t want to overlook when setting up your CPM or CPC Facebook ads. Don’t expect Facebook to tell you about these. As you can already see you’re getting a pretty comprehensive treatment on Facebook advertising here. And because I’ve been in the paid traffic (PPC) game for such a long time I can share tips with you that predates Facebook but also applies to Facebook advertising. You’re simply not going to find any other course on Facebook advertising like this one. I know because I own most of the popular ones and many of them are sharing outdated strategies - tricks that don’t work anymore. I thought I knew everything that there was to know about Facebook ads. Since I've implemented what I learned in Five Dollar Posts I've dropped my click to conversion cost by 2/3rds, grown my email list significantly and my list has finally started to produce revenue. 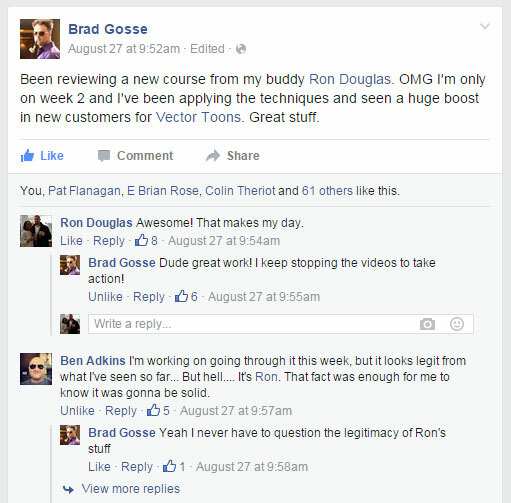 Ron's course is a no theory zone where he teaches what works today. There's no one better to learn from"
"As someone who loathes reading instructions, I've always been intimated by Facebook Ads because of their technical nature. However, I knew that I was limiting the potential audience for my products and services by avoiding it. That meant I had to do something about it and your course really fit the bill. I love how you break things down into easy steps and not only do you explain what to do, but WHY to do it. I really appreciated the homework with each lesson, so I was able to apply what I learned one step at a time. Your guest experts also imparted some great wisdom that not only applied to Facebook Ads, but marketing my business in general. Thanks for the opportunity to put that intimidation behind me and tap into the huge opportunities Facebook provides. I’ve read other courses and watched other videos, but they didn’t click with me like your course did." 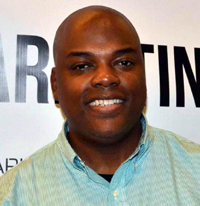 "I was a blank slate and did not know a thing about making and ad for Facebook at all. I mean ZERO! The answer is a resounding YES YES YES.... I am now getting website clicks to my webinars for under $.35 cents! I am getting videos watched at no more than $.03 cents! Ron is the man with this! 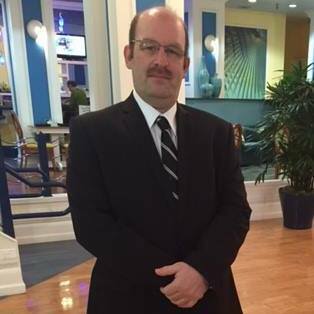 He helped me greatly build my business up and I am very grateful to him. There are many that usually are on the fence with buying training programs. I am here to personally tell you that you are in great hands here and should use the tools Ron teaches you! I did and am doing very well!!!!" "As someone who has been doing business online for the past 16 years, I still believe that I have a lot to learn from you. When you decided to open up your coaching program ($5 Posts), I decided to pay $997 for it. At first, I was skeptical with your claim as I've personally built more than 50,000 subscribers in 30 days myself. However, as I went through the course from head to toe, I was not only convinced that this was a great course, but I've also applied the principle you shared on your course in my own business which helped me understand what it takes to get cheaper clicks from Facebook. 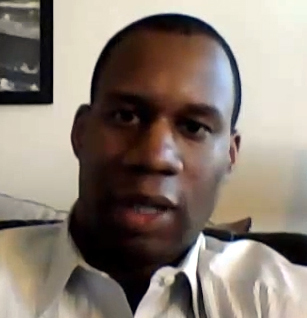 "I'd been online for a few years and I came across Ron's coaching program. I was struggling online and I hadn't made a lot of money, only a couple of affiliate sales. After a lot of frustration, trying a bunch of different things, and jumping from one thing to the next, it was hard to stay focus with so much hype out there. Once I started working with Ron, I went from topping out at about $55 to finally making my first $5,000 online and I haven't looked back since. And this was all in my spare time. I've also built email subscriber lists in the thousands thanks to Ron's coaching. 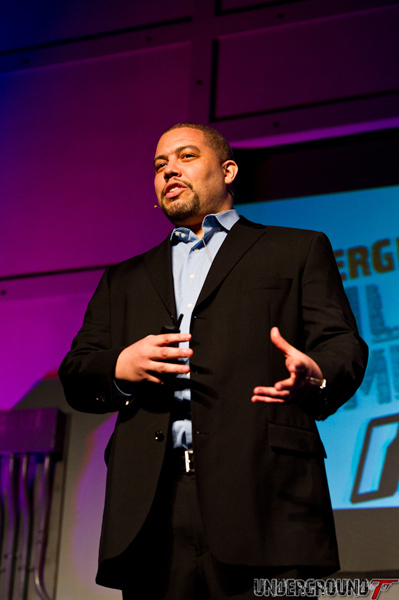 Having an asset I can leverage made all the difference for me." Now just in case you think these tricks, tips and strategies only work for me because I’ve been on the news, Home Shopping Network and have a famous traditional publisher and I’m a New York Times Best Seller… let me assure you that I made my marketing breakthrough BEFORE all that “celebrity” stuff happened to me. So even if you’re just starting out these strategies will work for you, guaranteed. I’ve given you enough evidence that the Five Dollar Posts Quick Start Training Program works. 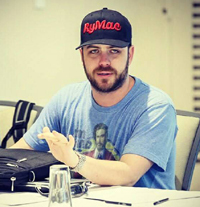 I’ve even gave you some invaluable tips right on this page just to demonstrate my expertise on using Facebook to generate a ton of leads. You can just take those tips and see dramatic changes in your results. So you don’t even have to read any further. But if you want more ... more little-known strategies, hacks, tips and techniques, then you’ll want to make a small investment in your Facebook marketing education. Now I’ve already told you that my coaching students paid $997 for the complete 6-week program. And this is no outdated stuff, I’m talking just a few months ago. So I have to be sensitive to these customers and not just give away all these secrets to the lowest bidder. Truth be told, they had me for live questions and answer sessions, some added done-for-you services and a more intimate setting than you’ll get in this offer. 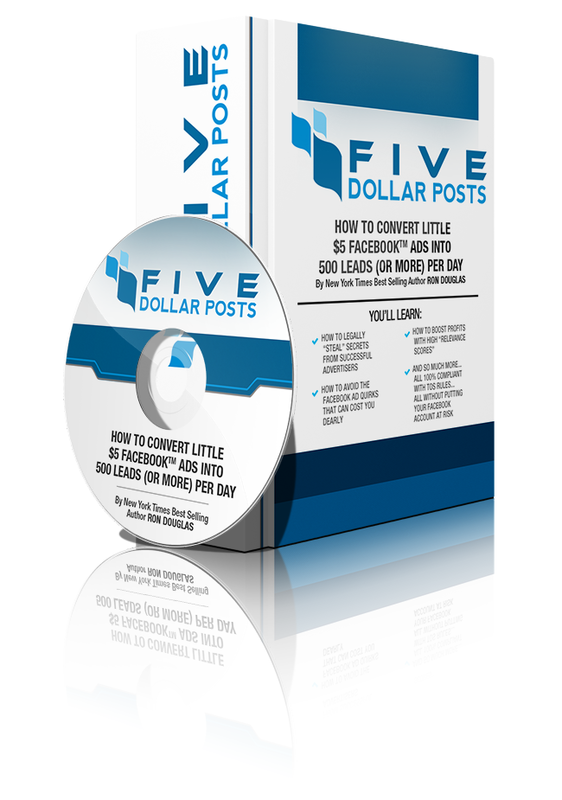 For a small investment of just $67 $37 (on sale today) you’ll get the Five Dollar Posts Quick Start Program. This includes the recorded video tutorials detailing the complete FiveDollarPosts system. Yes, you can test drive my Five Dollar Posts Quick Start Training Program for a FULL 30 days and make sure it delivers everything I promised to help you build your subscriber list with Facebook ads faster than you thought possible! When you get access to the training I want you to go through all the instructional videos, download the accompanying notes and test drive all the tips, strategies and tricks I share with you. Feel free to even steal ideas from my successful Facebook ads... and if you're not 100% confident that this product has saved you time and advertising dollars, just tell me and I'll promptly refund your money, no questions asked. You get to try the coaching videos and learn from the case studies and even profit from these Facebook advertising secrets - and keep it only if you agree that you have made one of the best investment in your business this year! I'm giving you years of my Facebook marketing life packed in one bundle and I'm placing it in your hands without risk, then you get 100% of your money back if it doesn't multiply your Facebook marketing profits. Now because I’m extremely dedicated to your success I’ve also put together a bonus package that just sends this offer into the stratosphere. The powerful strategy of “following the likes of the likes” in building a target audience and step-by-step “live” instructions on how to use this secret trick. How to use Google and Amazon to improve your Facebook Marketing! No, that’s not a misprint. Why lazy Facebook marketers are your best friends. How to write “subconscious” ads that really get attention and high response. 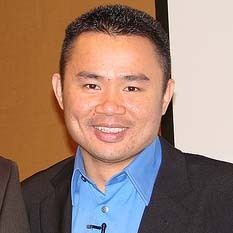 A secret Tommie learned from Warren buffet than can boost your online income almost overnight. This one will surprise you. 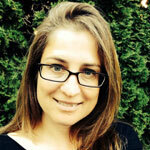 How to predict what will be hot and what will be not in the online advertising world. What will be the next BIG advertising platform? Predicting what niches will make the most money when the marketplace changes. Using the new shift towards use of “native ads” to catapult your business before your competition even realize what’s happening. Powerful psychological tactics that work on people who even know about them and should only be used for ethical purposes. Why customers will buy from you and how to get them to buy more. With the incredible value you’re getting from these over 4 hours of bonus presentations, they really make your investment in this program practically free. An increase of just $67 $37 in your Facebook advertising profit means your investment is covered. Of course you can choose to do nothing with these profit boosting tips, but there’s little I can do about that. Imagine what life would be like when you don’t have to worry about money anymore. All the bills are paid and every creditor seems to have lost your phone number. You wake up in the morning and can choose to make the 50-foot commute to your home office or stay in bed a little longer. You’re no longer a slave to the alarm clock and congested rush hour traffic. If you choose to take a family vacation there’s enough money in the bank for any destination of your choice. And while you’re on vacation, money is still flowing into your bank account and checks are piling up in your mailbox. Maybe you don’t want to be a #1 New York Times best-selling author or make media appearances or even be a net millionaire. But there is no excuse why, armed with this information, you cannot be making a solid income on your own terms. You don’t have to pay a franchise fee in the five figures to get a business that makes 5, 6, even 7 figures a year! Frankly, whether you choose to invest in my program or not wouldn’t make a dent in my income this year, but it may mean a huge increase in yours. If you let this opportunity pass you by someone else will use it. So why not you? P.S. I could continue using my Facebook Marketing strategies for my other businesses without revealing them to anyone and still make a ton of money. But I’ve learned so much from the Internet Marketing community over the past 14 years that I would feel guilty if I didn’t pay it forward. Will you accept my gift? ORDER Now, while you're still thinking about it!. Copyright © 2015 FiveDollarPosts.com. All Rights Reserved.